Next some new lace dings. 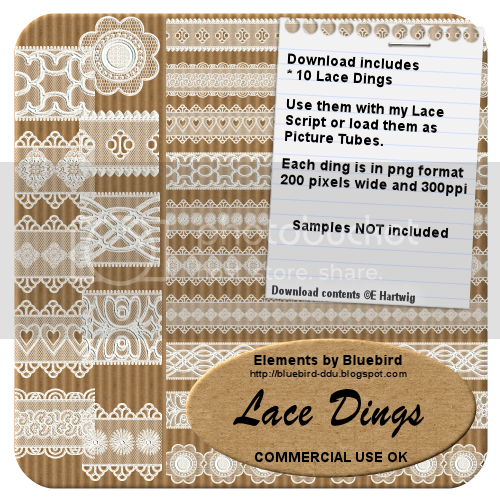 Use them with my Lace script or simply load them to your picture tube tool to draw your own lace. 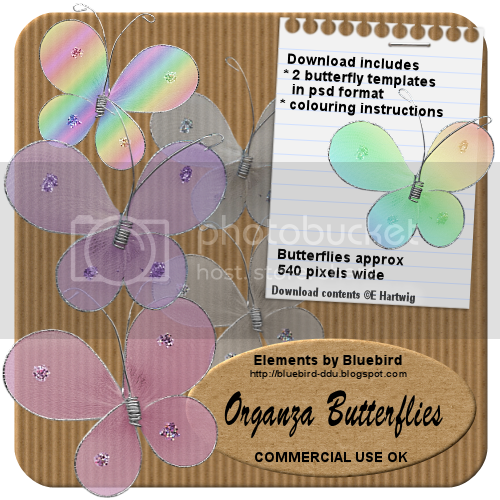 Last but not least a new freebie kit for you. It is available in two sizes, grab one or both. 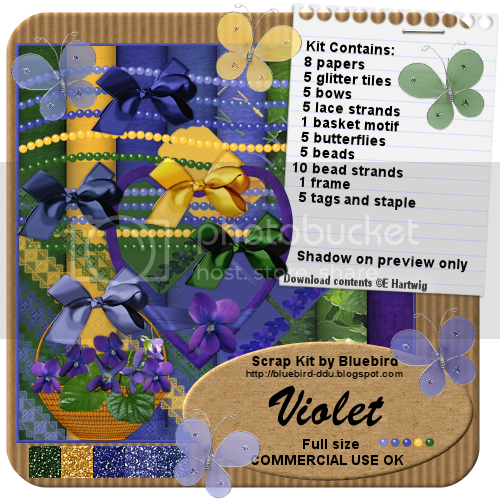 The kit is available in all the stores as a freebie for a limited time too. Thank you so much for this Freebie. I want to let you know that I posted a link to your blog in Creative Busy Hands Scrapbook Freebies Search List, under the Page 5 post on Sep. 07, 2009. Thanks again. Thank you! 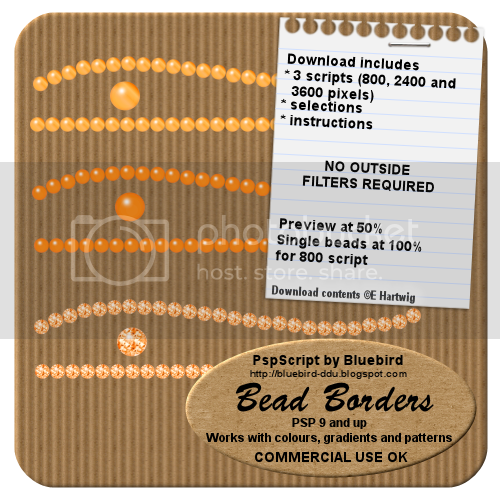 Your blog post will be advertised on the DigiFree Digital Scrapbooking Freebie search engine today (look for timestamp: 07 Sep [LA 07:00pm, NY 09:00pm] - 08 Sep [UK 02:00am, OZ 12:00pm] ). I Love Violets! Thank you for this beautiful kit! Thanks for this lovely kit!